So on Thursday my friend from France said he was coming. Really I said. I checked for Notodden tickets. They were sold out. Really! I was still heavily jetlagged, going to bed at 8pm or so. By Thursday I stretched the evening until 10pm, and by Friday I made it until 11pm. I still could not understand how I could keep away until way past midnight for the trip to Notodden. So my friend arrived by Air France by noon Saturday. We had the usual concert meal in the afternoon, then set off for Notodden by 4:30pm. The weather was awful, dark, slippery, a mix of wet rain snow sort of stuff coming down, as we drove through Drammen, Kongsberg and on the way to the blues city of Notodden a cat tested my awakeness and I saved his life by a quarter of an inch. By 6pm we were in Notodden, and we soon found the place where Bill Wyman's Rhythm Kings were going to perform later this night. The concert was set for the old industrial building Sliperihallen, these days called "Telemarksgalleriet". As we arrived they told us there were no tickets available. All sold out. There were a total of 700 tickets for the show, of which 250 were sold as dinner packages i.e. "julebord". The julebord is a large traditional Christmas dinner, very popular in Norway during late November and early December. The 250 guests for the dinner entered at 6pm, and we could see the "dinner setup" in the concert hall, with a space in the middle for the remaining 450 of the crowd. Without tickets we headed downtown Notodden. That was a 10 minutes drive. Not a big place it took like 5 minutes of superfan detective work to find the band, and another half hour to contact the very friendly management. My good friend Wilfried is probably the number two superfan in the world for Bill Wyman, so he was very helpful in working on our request for tickets. Soon we were in. We also met the superfan number one, from Germany, she follow Bill Wyman and his band almost like I follow the Stones, so we had a lot in common. With the concert entrance secured we could rest, and it would soon be a show. The band took the stage around ten minutes to eleven. Before they came on stage we had seen they had taped the set list to the floor, then they removed three songs from the set list just minutes before show start, they also reorganized the finish. They opened with "Chicken Chack Boogie". Good old Bill Wyman's Rhythm Kings! Everybody was in a great mood, they did a great performance, and the crowd loved it. When Bill tried to talk to the crowd, he realized they just talked and talked through the songs, also when he was talking into the microphone, so he just moved back to his position and the band kept playing. Nick Payn and Frank Mead played their saxophones with great emotions and performance. During the show Frank Mead moved over to our front center, took of his jacket, said he did not need it, then he moved into an amazing dance like a tornado on stage. Playing, dancing, making the crowd excited. It is great fun to see this band on stage - every time!!! Beverley Skeete did some great vocals. I did not understand why they had to bring in another guest vocalist, but I realize that an original Supreme member is an attraction on stage, high heels at age 70 she rocked indeed - and she danced! They closed the show with "You Never Can Tell" with Bill Wyman on vocals. Then they returned to do the encore "Dancing In The Streets", with Mary Wilson on vocals. It was 35 minutes past midnight. It was way past my bedtime, as I was still pretty much on New Zealand time. We walked out with a big smile, like everyone else at the Notodden show. Then home by the car in the night, same bad weather, same rainy and icy roads, and we were home by 2am. Wilfried says "You must write a report!" I tell him I am off duty... He says he will give me his notes. I say OK I will write a report. It was a great evening and it should have a proper report. So here it is! For sure I will be back every time Bill Wyman is touring. His shows are great fun and great music. I will be there! De gamle er eldst. Dessuten er de eldste noen ganger veldig gode. Kings og spille på små klubber. Nå gleder jeg meg til å besøke Norge igjen. 77 år gamle Bill Wyman sjarmerte Hamar. Bill Wyman's Rythm Kings beviste at de gamle rockerne fra 60- og 70-tallet fortsatt er eldst. De leverte tirsdag kveld en sugende konsert som bergtok publikum. 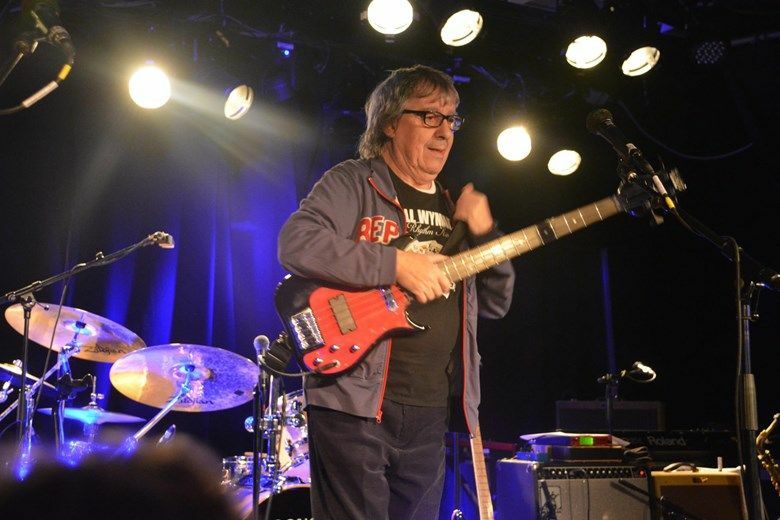 Det sier Bill Wyman før sin nye Norges-turne. Sjekk spillelisten her! Konsert: Fredag kveld på Gregers i Hamar, scenen er dekket med verdensartister. Men klarer publikum å la vare å prate? Bill Wyman's Rhythm Kings hadde hallingane i si hule hand då dei besøkte ål kulturhus torsdag. These are just a handful of old and new pages by IORR related to Bill Wyman and his projects. If you have information or suggestions related to more info about Bill and his projects please contact IORR by e-mail at [email protected] - Thanks!